I met with venture investor Ullas Naik, a partner at Palo Alto-based Globespan Capital Partners. We had a broad-ranging conversation covering venture capital, greentech and some of the energy-related companies in his portfolio. We also discussed the post-apocalyptic vision in the book One Second After. But the conversation leaned towards more optimistic topics than the end of civilization. "It's interesting times for Venture Capital," said Naik, who continued, “It's a challenging environment for VCs from a standpoint of generating liquidity through IPOs or even having access to a robust M&A market. This lack of liquidity has made it difficult for VCs to generate returns similar to those that were generated in the 1990s. One significant consequence of this is that it has become difficult for VC firms to raise funds from their investors." 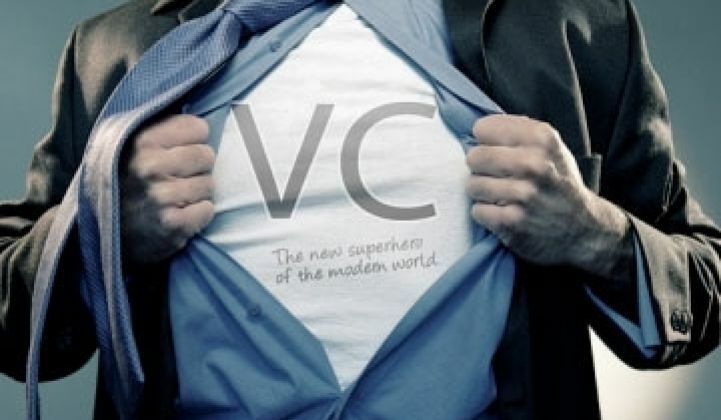 "The VC model is predicated on the existence of a healthy IPO market," according to Naik. "It can't rely solely on exits through M&As. The VC model needs a few companies from each fund to generate 10X-type returns to help boost the portfolio returns to the thresholds that our investors need from us. If we can't take companies public via a healthy IPO environment, even though we’re doing a good job building strong companies, then the VC model becomes a lot more challenged." "The macro-economic conditions in the last many years, along with the burdensome regulations such as Sarbanes-Oxley, have made it a challenging environment for a healthy IPO market to exist." He continued, "Another aspect of the problem is that the venture capital asset class is overcapitalized." (See Fred Wilson of Union Square Venture's comments on the state of VC here.) "What needs to happen is that the size of the asset class has to decrease -- we are living through that painful process right now." He mentioned that many venture firms, some of them quite prominent, are having difficulties raising their next fund. He suggested, "The regulatory framework needs to change so that good VC firms that are building strong companies can have the ability to take those companies public. For instance, it was not unusual in the 1990s for software companies with $30 million to $40 million in revenue to go public as a financing event to fuel future growth. That opportunity doesn't exist in the current environment." Naik continued, "Venture capital is not set up to take companies to $100 million or more in revenue and then still face uncertainty about whether they can go public to finance their future. Good VC firms are continuing to build good companies but, unfortunately, they just can’t access the public markets to raise additional growth capital for those companies and also to gain liquidity in their investments." "There are an ample number of good companies that have been built in the last many years that are ready to go public -- we just need a predictable IPO market to allow us to make that happen." Who are the incumbents that can become the Cisco-like acquirers in greentech? In Naik's view, "The large incumbents are in the process of being built right now." Something similar to the IT/networking/computing ecosystem will emerge in greentech, where the incumbents we build now will become active acquirers of new technology companies in order to get access to their innovation "but it will take another few years for that to happen.” Some of those companies could be existing players such as Suntech, SunPower, First Solar, or A123, or growing startups like Suniva, CaliSolar, Silver Spring, etc. Globespan has looked at hundreds, maybe thousands, of potential greentech investments. 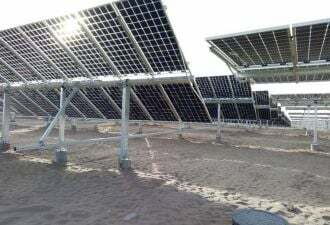 The firm has three investments in the solar sector (Ampulse, Calisolar and Solar Power Partners) with one stealthy company that Globespan is very close to funding. Naik would not publicly disclose the stealth firm's name or its core technology. Ampulse, a solar cell startup working on thin-film crystalline silicon on a flexible substrate aiming for efficiencies in the high teens and prices below fifty cents per watt. Ampulse is "a cell manufacturer predicated on a model involving outsourced manufacturing." Globespan is joined by Battelle Ventures and its affiliate fund, Innovation Valley Partners in funding the firm along with El Dorado Ventures. Despite the difficult state of venture capital, the ongoing contraction of the asset class, and his apocalyptic reading material, Naik seems upbeat about greentech. He even expressed some high expectations for the future of fuel cell technology as being a part of the overall energy mix of the country in the future.